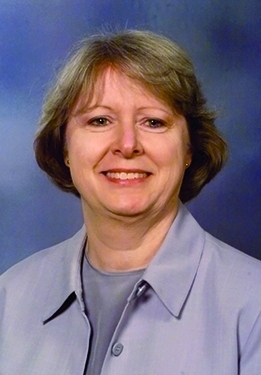 Joan S. Zenan, AHIP, FMLA, was the founding director of the Savitt Medical Library at the University of Nevada, opening the library as the medical school became a four-year program. During her twenty-eight years at Reno, she played a leading role as a faculty member in the university and in providing health information to the state of Nevada. Zenan’s commitment to librarianship was formed at the University of California, Los Angeles, where she earned her BA and MLS. Her introduction to Louise Darling and her selection for the Biomedical Library internship program were formative influences on the direction of her career. [The purpose] was much more to have an incredibly well rounded idea of what a medical library could do… Louise definitely gave us far more training and introduction to administration than anything in library school… We saw how she did what she did and why she did it, and she always made sure that we understood her thinking process… So rather than just coming in as a boss, you come in as somebody who has had experience in all these different departments and at least has a clue what they are supposed to do and how they are supposed to do it. While she was on track to work in medical libraries, her early positions included librarian at the Arctic Environmental Information and Data Center in Alaska, which gave her experience in organizing and cataloging a library in a related field. Zenan arrived at the University of Nevada, Reno, as the life and health sciences librarian in 1976 before moving to direct the Savitt Medical Library from 1977-2004 (“the day we moved into the library, it was announced that we were converting to a four-year school”). Her tenure was noted for building the library and its reputation, for outreach to hospitals in a rural state with two major population centers and support of medical students wherever they were studying (“twice a year…we would pile in a van, ten faculty members including me, and we would go out to all the little communities, visit their hospitals, and talk about our services”), for successful funding for health information and technology in Nevada, and for enhancing relations between the medical school and the university. I spent a lot of time with colleagues in history, English, foreign languages…just letting them know that medical education is expensive, yes, but one of the things we do is grants, and we bring in a lot of money for the whole university, not just the school… I saw myself as a person who was able sometimes…to ameliorate the negative feelings people had about the medical school… because usually they didn’t know anybody in the medical school except me. She was recognized as a faculty leader in the university, elected to multiple terms on the Faculty Senate and as chair of the assembly, as well as serving on numerous committees. [B]eing senator meant you got to meet with the president, you got to know all the people in the higher administration. I had a wonderful executive board. We all became good friends and they were from all parts of the university. The senate days really got me to know the movers and shakers in the university. And, therefore, in later years came the access anytime I needed it. 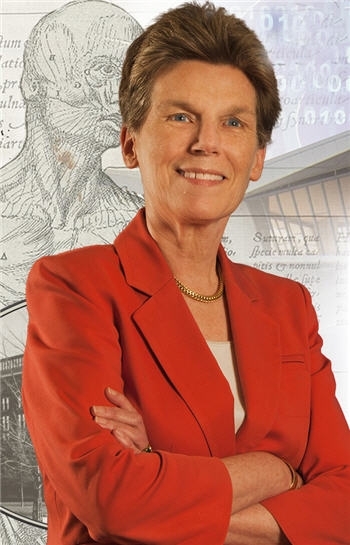 She was part of the planning committee for the medical education building and oversaw design and construction for the new library space. Zenan spent a year at Columbia University in 1980/81 in the Health Sciences Library Management Intern Program sponsored by the Council on Library Resources and the National Library of Medicine, where she worked with Rachael Anderson and expanded her perspective and experience with large institutions and cooperative library ventures. [Y]ou form a relationship with a director who’s very successful, and then you have like a lifelong business pal, so to speak, that you can bounce ideas off of, and it works both ways… [Y]ou’re colleagues, rather than somebody up here and somebody else down here. And so it becomes a synergy of the energy between the two people. Her roles in library associations reflected her belief that librarians should be active participants. (“[M]y philosophy is if you are part of an organization you need to be a working member.”) She served on the Medical Library Association Board of Directors during 1990-93 and as treasurer. She was on five National Program Committees and was associate or co-chair for the 1987 and 1998 annual meetings. I found that making the decisions that had to be made, pulling in all the things that make a meeting that we had any control over, was just a lot of fun. It was fun to see if you could make it happen… I just always…found it very gratifying… As far as the anniversary program, oh, we had so much fun planning what we would do that would be unique and unusual. I don’t know if you remember Frieda and I had wigs and fancy dresses. She was proceedings editor for the Bulletin of the Medical Library Association. She was president of the Association of Academic Health Sciences Libraries in 1988/89 in its developmental years (“we want the political contact with the people we work with and the administrations of our institutions”) and a member of two important collaborative MLA and AAHSL efforts, the Joint MLA/AAHSL Legislative Task Force and the task force that wrote Challenge to Action, the guidelines for academic health sciences libraries that highlighted their role in their institutions (“academic health sciences libraries exist not just for institutions, but they have a broader role in the world of information”). 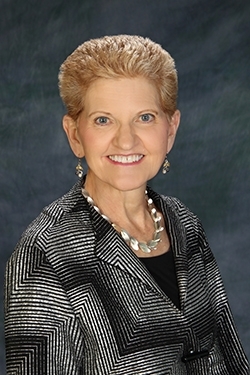 She saw the need for connections among the small number of health libraries in Nevada and founded the Nevada Medical Library Group. She frequently presented and published papers to communicate about library initiatives with colleagues. I often remembered what Louise Darling said, that how she wished that earlier in her career she had published things about what she was doing, but she didn’t…and history is lost to some of the things she did early on. So I always felt that if I got a grant, I had to write an article on it. If we did a project that was interesting, we were going to write an article on it… I always paired with faculty members... [I]t gave them a different perspective of what a librarian was and what they did. Zenan received the Regents’ Award from the University of Nevada in 2000 and was named a Fellow of MLA in 2001. [T]o really be a good director, you've got to be a good politician. You have to build your support base…from which you can operate to do good, because anytime I wanted to do something, it was for the betterment of either the library and/or the medical school or even the university… And sometimes I couldn't succeed, because there were too many stone walls along the way or I hadn’t built enough of a power base to make it happen, and that comes with the territory.